Your choice of POS Hardware tailored to your business' needs. Whether you have a single grooming shop or a 1000 locations, GroomPro has the hardware to fit your needs. Want to talk with a POS specialist? You might need one more thing or the whole kit. GroomPRO POS Complete Hardware solution provides the full set of tools you need to seamlessly checkout customers, collect tips, manage inventory and track payments. Simply plug into the USB ports on your front desk computer, point the SignPad towards the customer and you’re ready to go. Customers can easily sign and tip on the iPad while your front desk staff can manage bookings, update customer data and delight your customers. 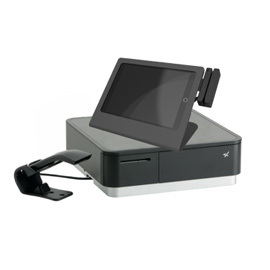 Forget the shoeboxes of receipts and boost extra income with the SignPad enclosure. 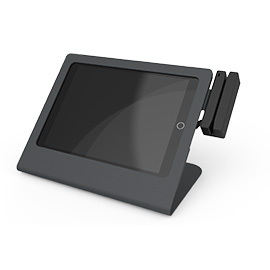 SignPad and secure USB reader allows your customers to easily tip, sign and pay right on the display. Simply fire up an invoice or close out a booking on your cloud based GroomPRO software and the SignPad screen will automatically light up to accept customer signature and payment. 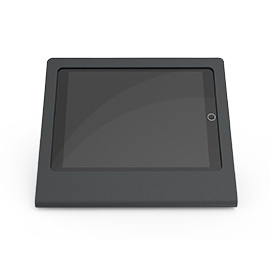 Forget the shoeboxes of receipts and boost extra income with the SignPad enclosure. SignPad allows your customers to easily tip and sign right on the display. As opposed to the SignPad Enclosure with integrated card reader, with this customer facing display your receptionist will handle swiping customer credit cards after generating an invoice or closing a booking. After swiping, our patent pending technology will automatically sync with the SignPad and allow for digital tips and signature. 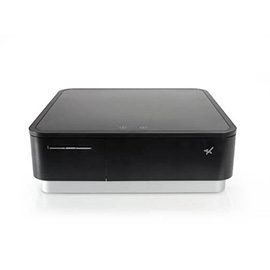 This intelligent reader delivers superior reading performance while encrypting sensitive data that complies with PCI-DSS requirements. The GroomPRO Secure USB Card Reader ensures all data transactions are protected from end to end reducing fraud and data compromises. 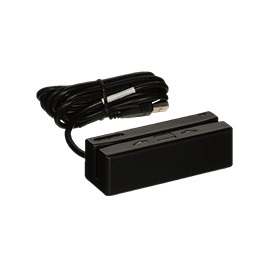 Simplify life for your busy front desk personnel while reducing wires and clutter. Easily accept payments from the same device your team is using to handle bookings, emailing’s and communications with prospects and customers. Need a sleek, secure way to accept and keep track of cash? This combo Cash Drawer & Receipt Printer is the answer. With complete cash management built into the GroomPRO software business owners can have the peace of mind that all cash collected is accounted for and not getting lost or stolen. They may be the simplest part of your POS but making sure your hard earned cash is secure is critical. 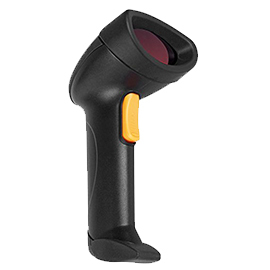 Simply plug in the GroomPRO POS barcode scanner into the USB port on you’re computer and you are ready to go. Easily update inventory stock and add products to invoices during checkout. You can even use the barcode scanner to pull up service items and pricing info if you’re business has a long service menu. Its function is unbeatable and easy to use, design is stylish, and includes the optional hands free adjustable stand. 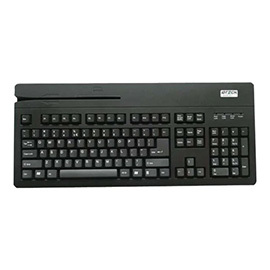 Helps speed data entry, reduce errors and improve efficiency, simplify your life and improve efficiency for your sales, retail or warehouse environment. 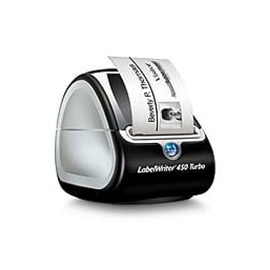 Desktop thermal label printer creates address labels, name badges, bar codes, postage, file labels and more. Maximum print speed of up to 71 labels per minute lets you create multiple labels fast Produces 600 x 300 dpi for clear text and images. You'll get instant access and can begin using GroomPro POS right away. Start by choosing the level that maches your business goals. Request a 20-minute demo to see how GroomPro POS could transform your business.